This week came so quickly! 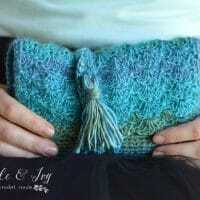 Today I am sharing the third and last clutch I designed as a possible accessory for the Women’s Choice Awards, I call it the Everia Picot Clutch Crochet Pattern. I am taking photos and trying to get packed for the trip and I admit, I am pretty nervous. I am a born and bred small town girl and I hope I don’t feel too out of place in shiny and beautiful Hollywood! I still haven’t decided which clutch to take to the event, so I was really hoping you will help me. I have three total: Today’s clutch, the Color Pop Clutch and the Tide Pool Wrap Clutch. 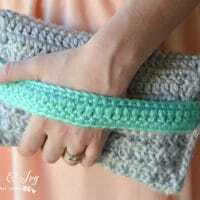 This cotton yarn was perfect for this clutch! 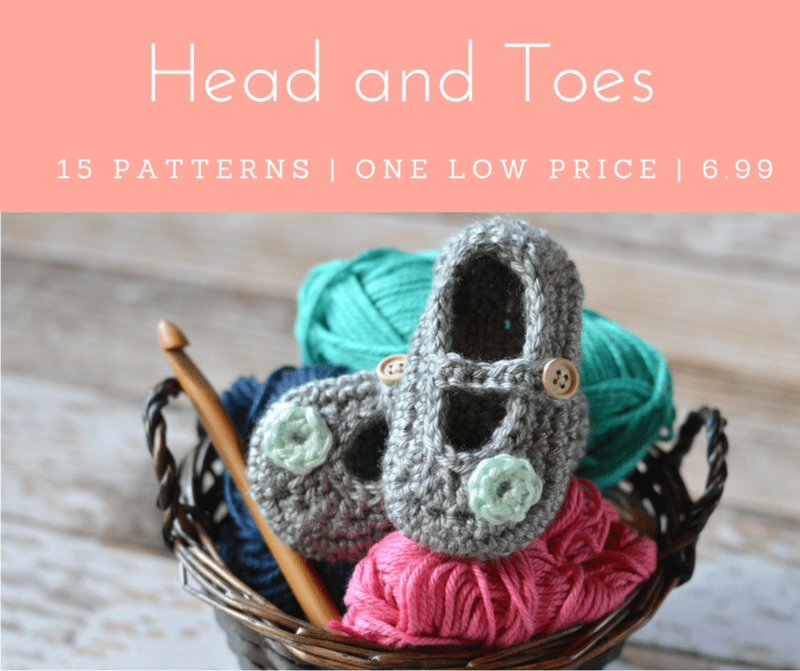 It’s easy to meet a gauge with it, since it’s a bit finer than other 100% cotton yarns, and it’s easy on the fingers. Does anyone else get a raw spot when working with cotton? I didn’t have that problem with this yarn. It has a lovely drape as well, I might have to design a summer shawl with this yarn. Ch 3. Sl st into 3rd ch from hook. 62. Ch 1. Sc in same st. *Work Picot. Sc 3. * repeat all across. Leave a long tail, leave a loop. 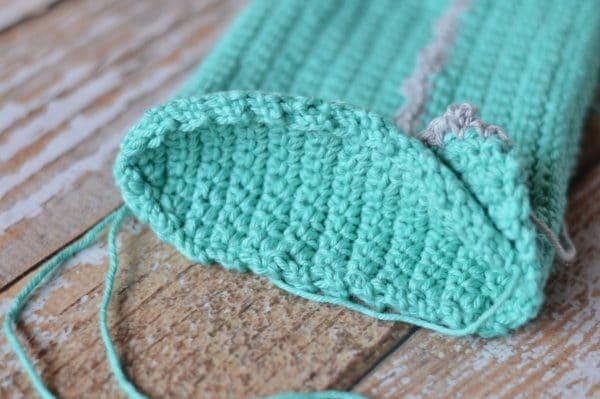 Fold up the bottom of the clutch piece until it touches 10 rows from the picot row at the top. Pin the side pieces in place on the outsides. Using the long tail, sl st all around, sewing them in place. Weave in all your tails and attach the sew-on magnetic snaps according to the package directions. Use a darning needle and some yarn so every thing is hidden from the outside. Let me know which is your favorite! The winning clutch will go with me to California! 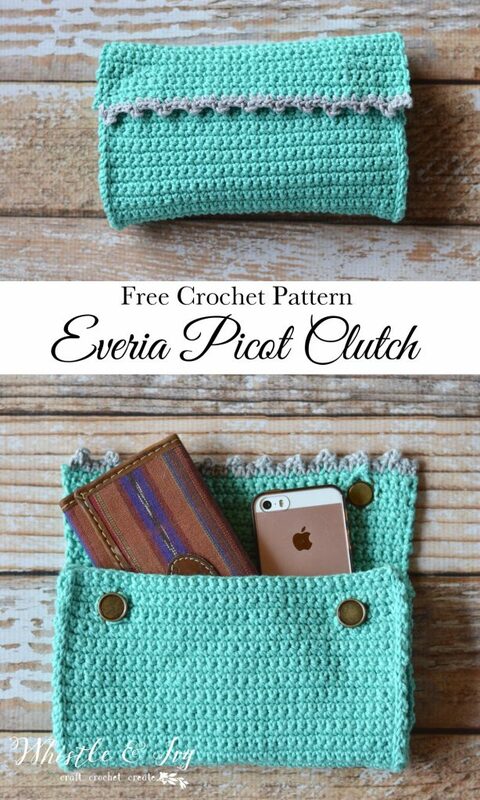 Like this Everia Picot Clutch Crochet Pattern? Subscribe! I think this one is the winner, but I think that you should take all three to see how you feel once you get to Cali. I grew up on LA county and visited Hollywood once. I am really happy you get to see Cali in all it’s glory! While you’re there, go to Disney and enjoy the desert. I definitely do! Happy travels! 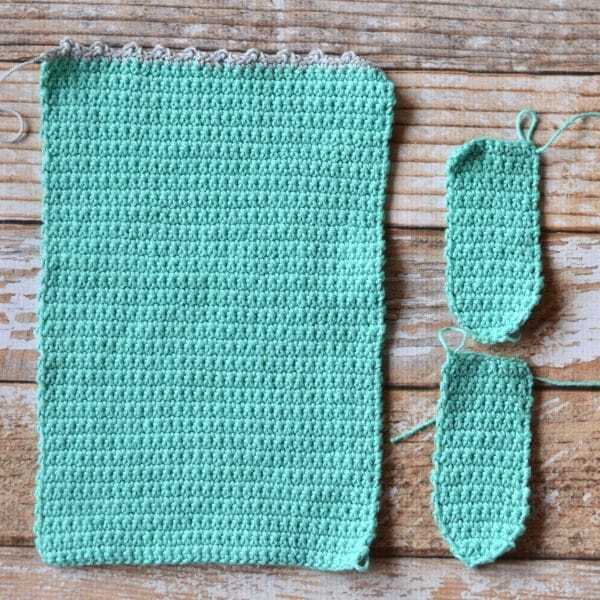 Hands down, This is the most awesome clutch crochet Pattern I have ever came across during my 40 plus years of crocheting. 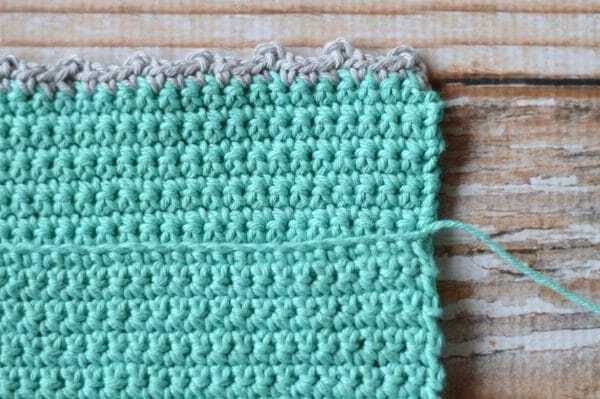 I have looked on all the other two patterns, they are also beautiful but since you will be wearing party wear clothes , the Evira picot clutch will look the best..Thanks again for the tutorial. Reall apperciated. I will be subscribing you more posts like this.. They really are special….and you are going to be wearing more than one outfit, right?! Why not take all three and see how You feel when you get there. 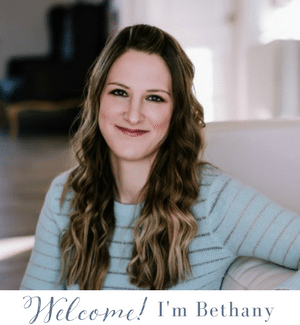 Sometimes when you get to a place that it So different from how you expected it to be, and So different from where you are from, things happen that you never could have anticipated. That is the whole “nervous excitement” that you feel, right?! The butterflies in your stomach…. Oh Kim! You are so sweet :) Thanks so much! 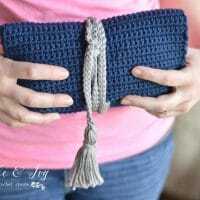 I love crochet bags, clutches, and purses. And , I love making them! So thanks for these great patterns and inspiration. 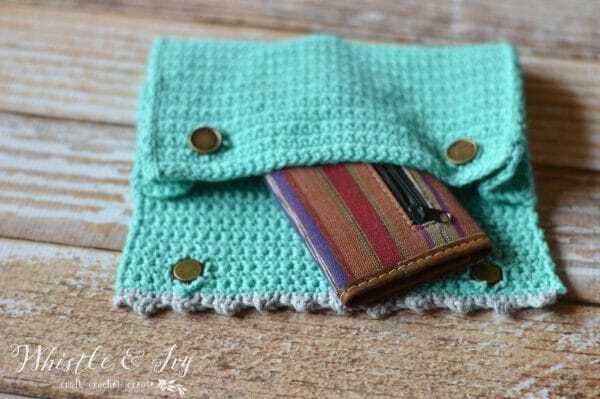 I vote for the tidepool wrap clutch.It just so pretty,the yarn and colors are gorgeous. I love this pattern! I’m actually going to start on it today! I think it will be great to take with you, but I also like your wrap clutch. (I may make one of those, too) it has the makings to be fancy or casual. I say take the wrap clutch! Thank you! It would be lovely for a wedding, I hope you enjoy making it! Your clutch bags are all lovely! My favourite is the tide pool wrap clutch too, I might have to make my own. Hope you have a fantastic time! All of your clutches are wonderful. If the *happenings* are fancy then I say take the Tide Pool Wrap Clutch. If not so fancy then your latest (Everia Picot Clutch) would be nice. I am definitely going to make your latest as I like that it expands. Hope you have a wonderful time!